We are 5 italians who came here for a tour. We were very satisfied of the service Mr. Imam provided. The tour was great, the driver drove carefully and all the services were excellent! You can trust this agency. We would like to thank you for your all help, had a wonderful time in Xinjiang. Our guides were helpful, very knowledgeable, and excellent guides. Drivers are so helpful and worked very hard. Thanks so much for helping to make our Xinjiang experience enjoyable. We will definately recommend your company to anyone who like to visit Xinjiang in the future. Thanks so much for a wonderful trip to Xinjiang. It was great that we were able to plan and coordinate our trip with you through the internet. Your help in customizing our tour was great, and we certainly could not have done it without your assistance. 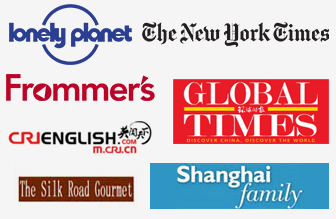 We will certainly recommend your company to our friends & relatives who are planning to go to Xinjiang. In summer 2007 I brought a group of a dozen professors from the U.S. on an educational tour along the Silk Road for faculty development. Along the way from Xi’an to Kashgar, we visited both tourist sites as well as arranged presentations by local scholars and officials about the diverse history, geography, religion and culture along the Silk Road. In Kashgar, our local guide was Abdulkaiyum of Silk Road Tour, who was by far the best guide we had on the entire journey. From the moment he picked us up at the airport I was immediately impressed by his excellent command of the English language, his polite and courteaous manner, professionalism and sincerity. Some of the professors on my group were so impressed with him they offered to write him letters of recommendation to their schools should he decide to pursue a graduate degree abroad in the future. In fact, I have stayed in touch with him over the last couple of years by email, while most guides are forgetten as soon as the tour is over. If you travel to Xinjiang through a Chinese travel agent chances our your guides will not be locals, and if they are chances are they will not be ethnicly Uyghur. I can not emphasize enough how important it is to have a Uyghur tour guide if you are interested in a deeper understanding of the local people and culture. Abdulkaiyum was able to quite literally open doors for us into the local community and that would otherwise have been impossible. We travelled to the Khunjerab pass (4720m) from Kashgar for a two days trip. We had a excellent local driver and an experienced local guide. Our guide spoke a very good english and provided a lot of interesting information about the country, the culture, local habits, local food and agriculture. We very much enjoyed the splendid views all over the journey. The “Bin lei xin” Hotel in Tashkorgan was clean and relaxing. Thank you for your efforts to make this trip possible. 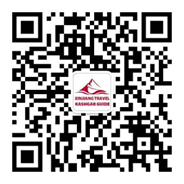 We felt very much cared by Imam Travel Agency from Kashgar!